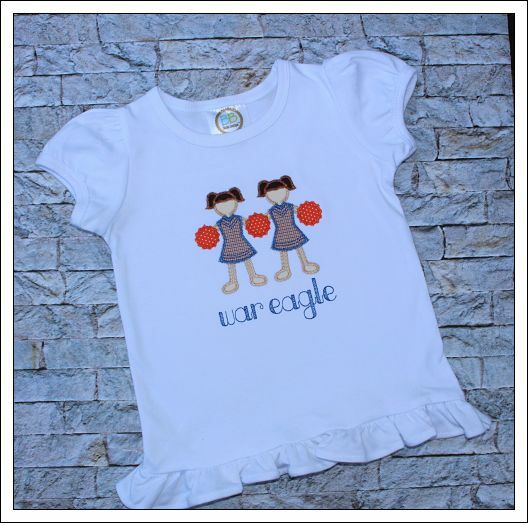 Every little girl wants to cheer on their favorite team, and what better way to do it than with this cute cheerleader shirt! 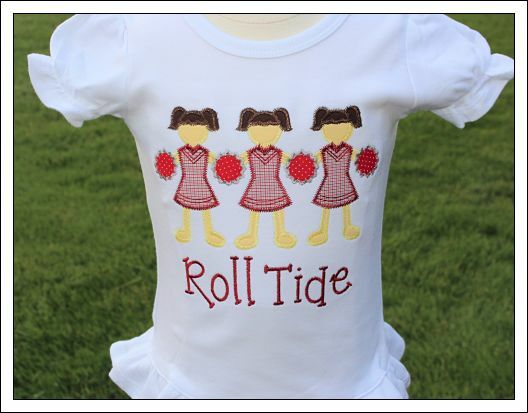 Made of 100% cotton, each garment will be in the team colors of your choice (fabric samples may vary from photo). 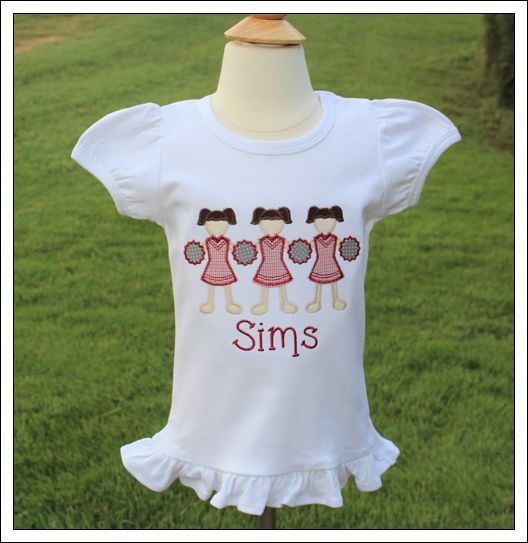 Click HERE to see garment styles, colors and sizes. Be sure to order correct size, color and specify school colors. We will contact you if we have any questions.